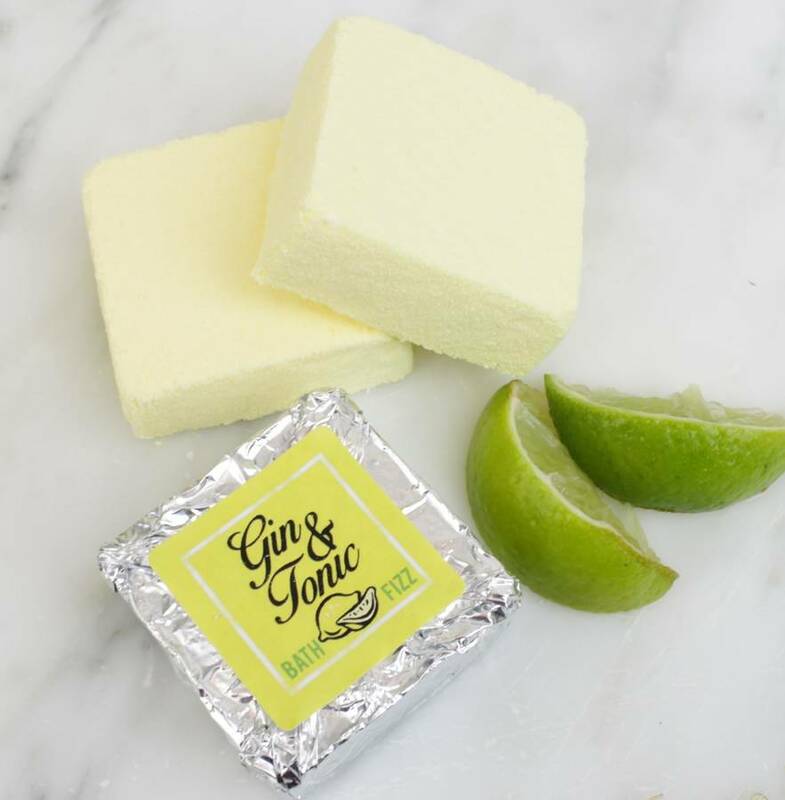 When life hands you lemons......reach for a Gin & Tonic! 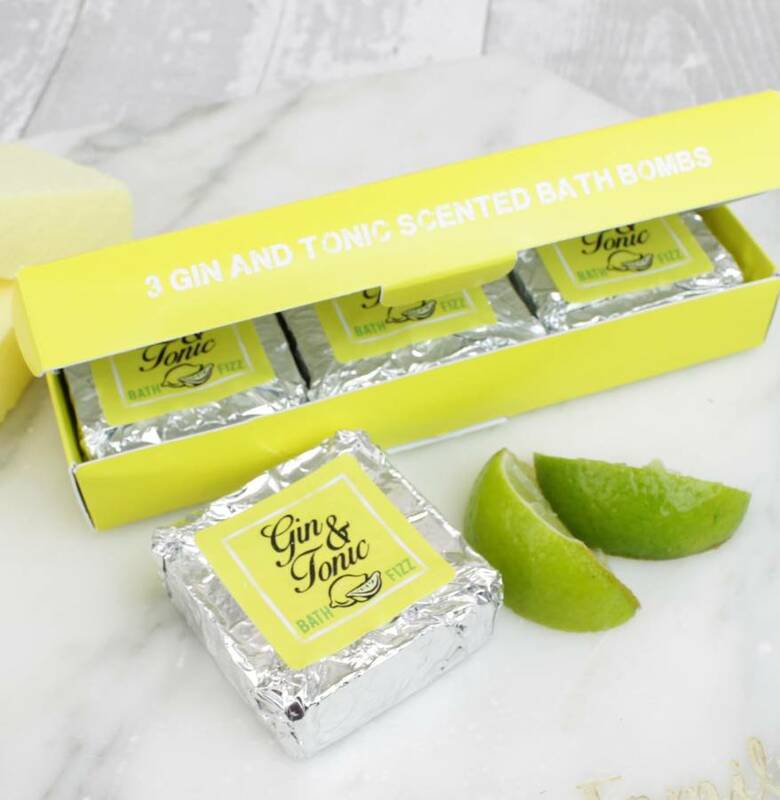 A pack of 3 fabulously packaged fizzing bath bomb tablets in their own gift box, it makes a fantastic gift for birthdays and Christmas. Relax and unwind in a bath, drop one or two of these into the water and see them fizz, the bath is now scented with Lemon, Lime and Juniper....just like a Gin & Tonic. 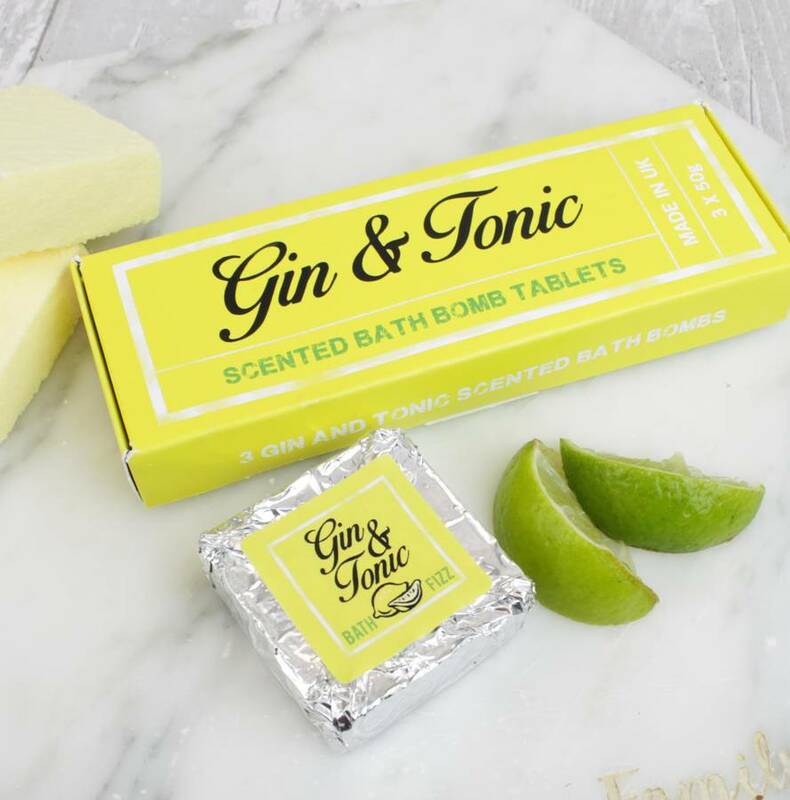 Each tablet is individually packaged in silver foil with a sticky label for freshness. We also offer this product in our popular Prosecco and Strawberry scent.